At this year's DNV-GL Energy Executive Forum, POWWR had the opportunity to speak at the 3:30pm Innovation Hour session on Tuesday and Wednesday of the event. This 2 hour presentation was entitled "Customer Engagement & Retention: The Future of Deregulated Energy". 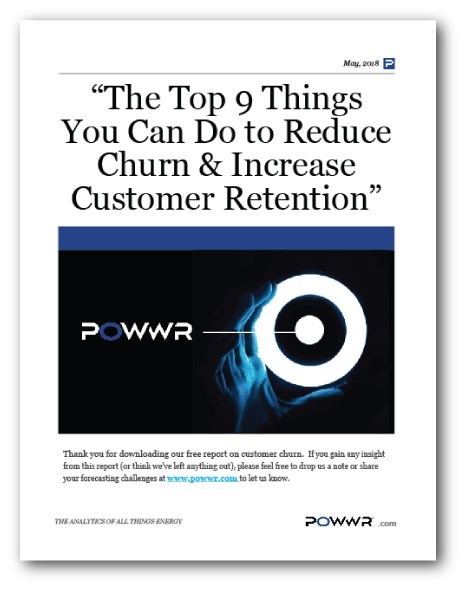 Attendees learned about how to reduce your churn rate in order to identify your best customers, where they are located, and how to get more of them. Show where improvement needs to be applied, and how knowing this information can increase your profitability. If you would like to take advantage of this complimentary snapshot, simply fill out the form below and you'll receive instructions in the PDF on how to receive this offer.